Roller derby is a sport that attracts many fans who don’t officially like sport. There are rules and required skills in place like any other sport but with alter-egos and uniform customisations added. It’s a team sport that also celebrates personal uniqueness. Players and fans alike come from various ages, appearances and lifestyles - it’s togetherness without a potentially toxic pack mentality. The good bits of a rock n roll attitude. As a game it’s fast, delightfully scary (sit next to the track if you dare) and all on roller skates. It’s a predominantly female-lead sport but male teams such as Southern Discomfort are increasingly popular too. A roller derby bout consists of two teams. In a two and a half minute jam, each team has four blockers and a jammer who starts the game behind the rest of the players. On the blow of a whistle, play starts and the jammers have to make their way past with the opposing team attempting to stop them using hips, rear and shoulders (hitting, tripping up and elbowing are illegal - Whip It was an entertaining film but not necessarily the most accurate). Blockers from the jammer’s own team will try to help her get through. The first jammer to get through becomes Lead Jammer and has control of the game so they can call off the jam at anytime. 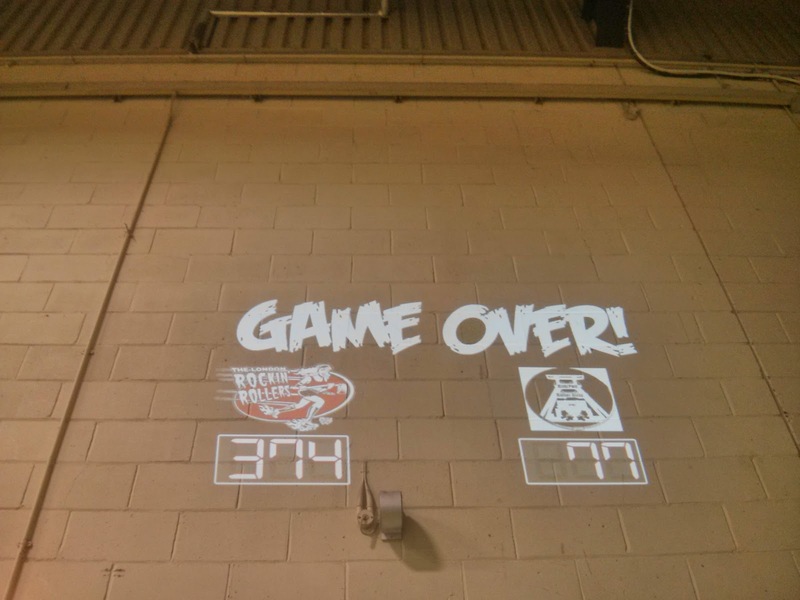 In the following passes, each jammer scores a point for each opposition blocker she passes. 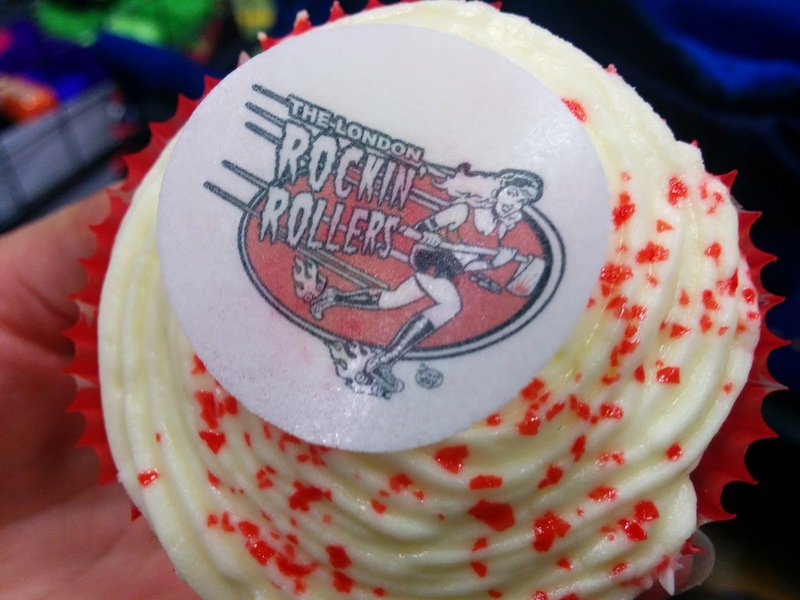 Ruhrpott Roller Girls were fun guests but they turned out to be no match for the home team on this occasion - the final score was a staggering 374-77 to the London Rockin Rollers. Notable players at this bout were the fast-as-lightning Rebel Rebel who kept those points coming, the fearful Jack Attack and Deadly DeVito for her rolling moon to the adoring fans at end of play.